While tax credits can help you free up cash flow and additional resources in the future, they often don’t help you in the here and now. In fact, many companies feel they have to forgo the complicated application process just to keep their businesses running smoothly. However, Swanson Reed, a leading specialist in R&D tax credits, has developed a referral system to help companies apply for their entitlements and still have enough money to keep up their good work. 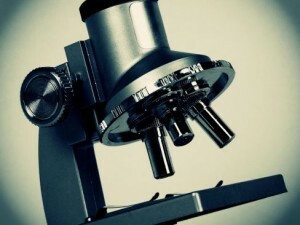 We call it our R&D Tax Refund Financing Program and we use it to connect you with financial institutions offering companies the ability to finance their future R&D tax offset entitlements. At Swanson Reed, we are dedicated to helping our clients get their entitlements, all while guiding them towards the best, most profitable research and development areas to help maximise their profits and discoveries. That is why we receive zero financial incentives or commissions from the institutions to which we will refer you. Our R&D Tax Refund Financing Program exists solely to help companies get the money they need now so they can create the products they want. Plus, without commissions or incentives, we are able to best match our clients to the institutions that will help them best. By using a financial institution to help fund your future tax entitlements, you can free up money in the here and now and still get the money and entitlements you deserve in the future. In fact, many companies use these financing products to help restructure their R&D funding, putting more resources into the actual work they do and creating a leaner, more effective team. With a more efficient team, companies can also push on to the next phase, be it advanced development or commercialisation. 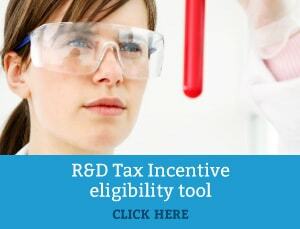 • You must be performing eligible R&D activities, or Innovation Australia must provide a positive “advanced finding” ruling. • You cannot use a bank or other borrowing facilities that requires a PPSR registration. • Your company must be in good standing with the ATO and AusIndustry. • You must readily provide well-kept records, good record keeping, and provide the relevant accounting reports for the period in question. • Swanson Reed must perform an R&D claim preparation, lodgement and assessment. If your company wants to take full advantage of the R&D tax credits and entitlement program, but simply does not have the resources to do so, be sure to ask Swanson Reed about our R&D Tax Refund Financing Program. It’s the best way to stay financed and still get your entitlements in the future, so that your company can continue to succeed, develop, and grow.